Inquiry is the science, art and spirit of imagination. We naturally associate Inquiry with the logical mind’s intent to satisfy curiosity, solve problems, and explore ideas. Inquiry helps us connect our prior understanding to new experiences, modify and accommodate our previously held beliefs and conceptual models, and construct new knowledge. Playful describes a state of surrender. It involves being open, letting go, and embracing unexpected direction or results. Being playful has positive effects on the body and the brain. Problem solving ability increases after a person has spent some time laughing. This works because laughter turns off the posterior hypothalamus and allows the cerebral cortex to focus on a given task. With Inspiring Results Around the Globe! "When we seek for connection, we restore the world to wholeness. What is the Serious Play Conference? Hear more about the Serious Play Conference from this BlogTalkRadio show that we recorded during the conference! Big thanks to Norma Owen (Norma Radio) for her partnership in bringing our dialog about the Future of Work to the on line community. Thank you Ross Smith for introducing me to Gwen Gordon and her movie project! Last week Chris presented at the Serious Play Conference near Seattle, Washington, with a talk titled “The Game-Based Classroom” and he agreed to an on camera interview. Here is a preview for you while the video is edited! This is one in a series of interviews being conducted on the topic of Serious Play, Serious Gaming -- using games, simulation and virtual worlds to help stimulate learning in innovative new ways and find real world solutions. Q: Where do you see the greatest potential in gaming as a part of the future of learning? A: I recognize the duality in gaming for learning. The traditional understanding, well-established in the literature, is using games as learning experiences. I have spent much more time in the pursuit of using game-based feedback, organization, structures, and tropes as a means of supporting learning. In essence, I believe the greatest potential in gaming is not just using games to learn, but make learning more like a game. Q: When do games and simulations have the most impact on students? Q: What experience do you have using serious games or simulations for collaborative purposes? A: I teach a number of classes situated in virtual environments and games spaces. These digital classrooms quickly emulate the collaborative spaces we occupy in the physical world by with myriad tools and toys to amplify the experience. Q: In what ways do you think gaming can not only utilize, but also promote or foster collaboration? A: Most often, collaboration ceases when requirements for game-play and learning are so ridged that it becomes didactic. Q: How do you assess the effectiveness of using games? A: In student responses and artifacts related to the standards. Q: In what ways have you seen gaming enhance communication, learning, and engagement? A: I have lots of research I would be happy to share and discuss with you. Q: Where do you see pockets of expertise, and in what aspect of serious games, worldwide? A: Often, gamers and aficionados of gaming culture serve as embedded experts. TrulyAmazingPeople.com is an organization devoted to helping individuals, families and communities seeking meaningful work, whole system change, and talent integration ecosystems. TrulyAmazingPeople.com would like to thank the Serious Games Association, The Bohle Company, and the Future Working Together community for their assistance with our research. Lori Sortino, Lyn Wiltse, and Emily Swift are Truly Amazing People. 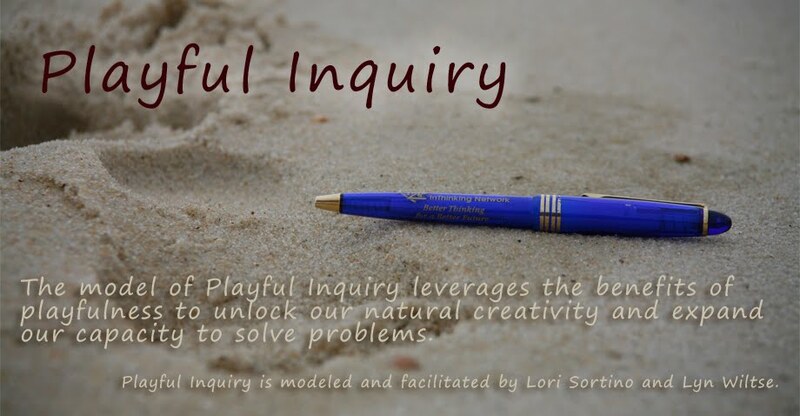 Lori and Lyn are Creative Solutions Consultants who host Playful Inquiry events. Emily Swift is a technical writer with a BS in Liberal Arts and Engineering Studies. As one of the creators of the Lockheed Martin Virtual World Labs, Richard leads a group of innovative engineers and designers across all mission areas for Lockheed Martin to harness cutting edge computer gaming and virtual world technologies to improve human performance. Richard joined Lockheed Martin in 2007 with the acquisition of 3Dsolve, a North Carolina based computer game technology firm where he was founder and CEO. Prior to that, Richard was General Manager and VP of Sales for Virtus Corporation, where he worked for nearly a decade and where he served on the management team that created several pioneering computer gaming companies including Red Storm Entertainment, with author Tom Clancy; and Timeline Computer Entertainment, with author Michael Crichton. With computer gaming pioneer David Smith, Boyd co-wrote an industry-leading book on VRML technologies, called The Virtus VRML Toolkit, that was widely distributed and translated into three foreign languages. Boyd is also a children’s book author and is a graduate of the University of North Carolina at Chapel Hill. Q: What are some of the barriers standing in the way of more use of games, simulations and virtual worlds for learning today? A: There are different barriers depending on where you are focusing. In the corporate world, training is still considered by most organizations as a cost, something to be completed quickly so the work force can get on with the actual work. In many ways this attitude is appropriate. In my talk at the Serious Play conference I discuss how the relationship between humans and the technology we create is changing to serve us on our terms, rather than requiring us to adjust to the technology and meet it on its terms as we have in the opening stage. We need to simplify the interfaces and the tools and reduce the friction between the user and the thing they want to do. Today, with virtual worlds and games, there is still too much unnecessary complexity in the creation of the simulations. When users access the simulation, there have been too many unnatural acts required. The system administrator has to get involved to allow the installation, then, in the case of many virtual worlds and MMOG platforms, ports have to be opened setting off all of the cyber threat alarms. Then the user interfaces are all different and require learning before the user can begin to take advantage of whatever learning is in the simulation. What we need are two things: We need simplified tools that take advantage of Internet standards and collaborative design. Essentially, we need Hypercard for simulation. And second, we need to simplify the access; allowing users to access collaborative training in convincing environments as easily as they access a website today. No plug-ins or unnatural acts allowed. Barriers such as bandwidth and processor speed, that hindered us in the past, are essentially gone now. A: While artificially intelligent game bots continue to evolve, the most interesting thing you can encounter in a game or virtual world is another human being. Designers of massively multiplayer online games like Warcraft, Rift, Eve Online etc start each design cycle by asking the question, "How do we get the largest number of people to go on the largest possible adventure" Anyone who has played these games instantly realizes the cooperative and collaborative social nature of these adventures. The level of "unnecessary hard work " as Jane McGonigal calls it, that players put into these adventures is a ripe area to be mined for training and education. Second Life has shown us that people can collaborate around simple tools to create simulations and beautiful environments. By making these tools even more simple and accessible, and providing a consistent and almost ambient interface, we can harness these powerful tools for deep collaboration around simulation learning. If the 20th century was the televised century, I believe the 21st century will be the simulated century. Simulation will become part of the scientific method. Democratizing simulation will allow us to harness network intelligence and networked collaboration to achieve new heights of understanding. There is a deeper issue here. The Internet is all about harnessing network intelligence. Jeremy Rifkin in his book "The Third Industrial Age" calls this the Collaborative era. Investors in my former company Reid Hoffman and Joichi Ito talk a great deal about the necessity of enabling access to network intelligence. But today, many of our systems are still suffering from the industrial age idea that we can embed information in one human and have them pass it on to others in an analog lecture. Healthcare and education are the prime examples of inefficiency based on this old analog non-collaborative model. The entire health system is built around the idea that an all-knowing physician can provide all of the care someone needs. People are dying as a result. Enabling collaboration and, more importantly, allowing teams of humans to access a knowledge base and automation and simulation is critical. Open source initiatives like the Virtual World Framework are essential enablers. Q: Has anything you have learned surprised you? A: I once thought that we would have to wait for the Digital Natives to implement many of these ideas. I am finding that generational issues are evaporating as more people across demographic segments become more comfortable with digital tools. Q: What societal changes could be the result of widespread use of the Virtual World Framework? A: If the 20th century was the televised century, I believe the 21st century will be the simulated century. Simulation will become part of the scientific method. Democratizing simulation will allow us to harness network intelligence and networked collaboration to achieve new heights of understanding. I believe firmly that those humans and organizations, even countries, who achieve a comfortable fluency with the digital tools remaking the world will prevail over those who don't. I think that people who have full command over simulation and artificial intelligence and augmented reality, will begin to appear super human to those without that fluency. These are all capabilities made more accessible by the VWF. I believe civilization is predicated on the ability for people to access information they don't have. As the information age advances, I see this ability to access information becoming a human right. Lowering the barrier to participation with these technologies in both cost and complexity will become critical. The VWF is a platform step in that direction. Q: If schools, companies, and society as whole adopted VWF as a tool to engage and collaborate, what could happen? A: I think that those who do adopt the ability to easily create and access open source simulation tools will prevail over those who do not have that capability. If one looks at sport today: McLaren racing, The New England Patriots, or just about any baseball team, one sees the beginning of this phenomenon. Shortcomings in human talent or available capital are being overcome by organizations who embrace and exploit simulation and analytics. On my wall in my office I have a blown up picture of Ahmad Bradshaw struggling to not score with 52 seconds left in the 2012 Super Bowl. This act defied all of his training and all of our human intuition. The machines made that call with a rapid analytical simulation that showed a distribution of optimal activities and their outcomes. That moment was a William Gibson nodal point for me. It is the canary in the coalmine that calls the attention of anyone not tracking these phenomena. The quote at the end of the movie Moneyball sums it up nicely. I will paraphrase it as "Anyone who is not tearing down their old system and rebuilding it this way is a dinosaur"
Q: Knowing what you are good at, and what you most love to do, if you were given any work role you wanted, describe the people you would want on your team and what they would bring to the project. A: Michael Crichton once told me that the most important thing to get right and possibly one of the biggest business opportunities of the 21st century and the information age will be education. I, along with a lot of other people in technology are eyeing education as over ripe for disruption. I would like to serve out whatever time I have left on this planet working with design thinkers and educators on this problem. The list would range from some of my partners over the last 20 years who pioneered computer gaming to some early pioneers in computing like Alan Kay, who invented the first laptop and object oriented programming. I would also love to work with Larry Bock, who started the USA Science Festival and invited me to speak at all of them so far. I would bring in some educators who are taking new approaches, like Rebecca Amis who created the Muse School and other education thinkers like Jim Shelton and Twom Vander Ark . There is a long list of people there. Q: If someone wants to learn how to create serious games, where should they go to learn? Q: What do you think are some of the challenges for the industry? A: Still too many proprietary tools and models that require an arcane priesthood of developers to create simulations. We need new business models that encourage a democratization of the tools and access to content. This is the driving idea behind the virtual world framework. 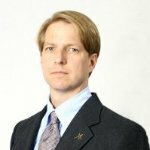 Ross H. Kukulinski is the Director of Product Development at Advanced Simulation Technology inc. His team works to develop innovative solutions for conventional military and commercial training. Additionally, ASTi's gaming product team builds COTS voice communication and radio simulation for serious games. Prior to his product development role, Ross worked as a project engineer, interfacing with customers and gaining hands-on experience designing full-fidelity sound and communication models for flight simulators. Now, Ross is actively seeking new ways to bridge the gap between higher-fidelity training systems and serious games in the L-V-C environment. Ross earned his B.S. in Electrical and Computer Engineering with a concentration in embedded real-time systems at Carnegie Mellon University. Q: How has military unit-based training evolved in the last decade? A: I think ‘evolved’ is an excellent term to describe the progress military unit-based training has made and continues to make. While modifications to military doctrine occur slower than their commercial counterparts, there have been a number of additions to military training that are saving lives and money. Most notably in my mind is the use of serious games to improve understanding of tactics techniques and procedures (TTPs) for new recruits prior to live training as well as combined arms training. With that said, however, I think it is important to note that serious games will never replace live training – rather serious games can supplement live as a form of blended training. Q: You specialize in voice communication. Why is this such an important component of a military simulation? A: I will explore this topic in much greater detail in my talk at the Serious Play Conference, but one of the fundamental requirements for teamwork is effective communication. It is essential that military training simulations include accurate communication modeling to ensure that trainees communicate as they would in the real world. For example, one of the primary duties of a convoy vehicle commander is to relay messages between his vehicle, other vehicles, and the command headquarters. The radio channels tend to be very busy so the commander must quickly determine which information is pertinent to the mission and pass it on as needed. Several instructors have vented their frustration to me regarding the built-in communication systems in many serious games. In these simulations, unlike the real world, all players are on the same voice channel. This means that the commanders are missing out on essential communication practice and this negative training is endangering lives when the commanders are deployed. The instructors simply want a communication system for serious games that models the real world for proper and effective training. Q: What breakthroughs have been made in communication simulation in recent years? A: Big-name vendors of voice communication and radio simulation have been providing high-fidelity radio communication for decades. Unfortunately, these capabilities are usually found only in the highest-fidelity training devices such as flight simulators. What we have seen in recent years, however, is an expansion in the availability of these communication systems in a wide variety of training environments. By replacing expensive hardware-based interfaces with software clients, vendors have found a way to cut costs without sacrificing fidelity. Serious games can now have integrated communication systems that accurately model the real world. Furthermore, due to vendors’ experiences in distributed training exercises, serious games can interact not only with other games, but full-fidelity flight trainers as well as with live training. We call this Live-Virtual-Constructive training. One of the outcomes of L-V-C exercises is an increase in the number of communicating players. To that end, we have been focusing on the scalability of our systems to support thousands of players using a variety of cloud-inspired techniques as well as innovating new user interfaces such as mobile devices. Q: Besides military use, where else could this new communication product be used? A: In commercial markets, these communication systems can be used in a variety of gaming applications, such as MMORPGs and first-person shooter games. Additionally, these systems can be used in any situation where teamwork training is required. For example, medical personnel such as doctors, nurses, and administrators, rely on effective communication to provide outstanding patient care. High-fidelity communication systems are crucial in these non-military games and training scenarios to improve the user experience and further the learning objectives. Q: What are the challenges to the industry right now? A: We have seen an uptick in the adoption of serious games for training in the military, but there are still a number of hurdles to overcome. While some commanders are embracing the cost saving and effective training provided by serious games, many still view them as expensive toys. It is important for industry and government to push for games that provide the best training, not ones boasting ultra-realistic graphics. Additionally, we need to take a close look at the training requirements and find one or more games that provide a comprehensive solution. I’m not convinced that a one-size-fits-all serious game will solve the complex training requirements for the military. This week Ross will be presenting at the Serious Play Conference near Seattle, Washington, with a talk titled "The Future of Work is Play"
Ross Smith really enjoys getting a paycheck to "play" with software for over 25 years now, over 20 at Microsoft. Most of his career has been in testing and QA roles - including Test Architect. He has contributed to almost every version of Windows and Office since 1992. He is one of the authors of "The Practical Guide to Defect Prevention" and holds five patents. 42projects has aspired to promote cultural change; "bring buzz and laughter to the hallways". Q: How can gaming or simulations transform the workplace? A: Games and simulations – and I’ll extend a bit to include play and fun – can transform the workplace across several different dimensions. First, our world of work has evolved - from an Industrial Society to a Knowledge Society. Knowledge work can benefit from the mental break that games and play provide. Second, the “gamer generation” is entering the workforce. In 2008, Pew Research did a study that showed 97% of 12-17 year olds play computer, web, portable, or console games – 99% of boys, 94% of girls. These folks are entering the workforce, and the workplace needs to adapt to better engage this new type of worker. Third, games to get real work done – productivity games as we call them – can help better motivate crowdsourcing efforts. Q: Where do you see the most potential in gaming as part of the future of work? A: Games designed and built around knowledge work. For us in software testing, there’s a huge benefit if we can get feedback from a marketing manager on how he or she might use our software. However, they don’t have time to do work for us, so a well-designed game can help motivate and encourage them to take some extra time and help us. Q: What are “Productivity Games” and how are they used? A: Productivity games are games or game mechanics that get “real work” done. We have learned that adding a game on to someone’s “day job” backfires. It simply doesn’t work when points, leaderboards, levels, or prizes are competing with the human resource systems and paycheck that are already in place. Games work great to attract core skills (those that most people have – ie: ability to type, make a phone call, speak a language, etc.) to work on “organizational citizenship behaviors” – those things that make the organization, the company, and/or the product better – but are not necessarily the sole responsibility of anyone in the organization. The “clean out the coffee pot at the end of the day” game works much better than the “do Ross’s job” game. Q: Do you have any experience using productivity games for collaborative purposes? A: We’ve been experimenting for almost 10 years. Just as with games for entertainment, players can be motivated by different techniques. Some respond to the glory and shame of the leaderboard, some to beating their own high score, and some by puzzles. Some play for the camaraderie of team play. One of the best examples in using games to collaborate was in the Windows Security team with an Olympic themed game, where we had “runners” and “coaches” together on a team. For one week, the coaches maintained a level of performance in their own day job, as well as in that of the runners. The runners went off and did something brand new - sometimes wild and crazy – to innovate in an area that would help the organization. Each Olympic team was judged only as a team – both on how well they maintained the regular work, and how much they could innovate. In the Language Quality Game, we also saw native language speakers collaborate and work together to “compete” against other languages. A: The Netflix prize, Re-Captcha, Google Image Labeler, Top Coder, and our Language Quality Game are great examples. Tongal.com has done a great job building contests for both aspiring and professional videographers and producers to compete for video business from real companies. A: I think there are some interesting cultural shifts in the explosion of mobile and social games. As a new generation of business leaders starts to take their seat at the head of the table, I think we’ll see a shift. More than 70% of the worlds’ population plays games. There are well over 300 million online gamers in China. As workforce demographics shift, and with the rise in emerging economies, globalization of our world economy benefits tremendously when workers from disparate cultures build trust and teamwork skills through game play. I think mobile gaming expertise in China, Japan, Korea, and other eastern countries will be a huge factor in shaping our future world. Gamers and game development expertise continues to flourish in India. There are great game studios in the UK and Europe. In South America, Brazil gaming industry is growing at ~30% a year. The Russian video game market is projected to double over the next 3 years. My belief is that growth in gaming opportunities is correlated to population trends. A: I’ll narrow my answer to productivity games – games in the workplace – as I’m more familiar there than the gaming industry as a whole. In the workplace, there’s still a bit of a negative connotation to the word “game”. Some (generally old school) folks think “games are gimmicky” – or “we don’t play around here, we work hard” - and that play and fun are indicative of lower productivity. My belief is that as our world of work shifts to knowledge work, that play, games, mirth, and fun actually improve productivity by making people more creative, more innovative, and more relaxed as they apply their minds to their tasks. Andrew Miller is an educational consultant and online educator for Edutopia. He also currently serves on the National Faculty for the Buck Institute for Education and ASCD, traveling nationally to train fellow educators and present at conferences regarding game-based learning, project-based learning, and culturally responsive teaching. Q: How can games change how kids learn? A: We already know games engage us, and we know that our students are playing games whether we like it or not. There is a unique opportunity here to create games that engage students in content. Great Games provide situational learning experiences that give immediate feedback and engage students in critical thinking and problem solving. While many great teachers do this in their classrooms themselves, games can help foster this great educational environment. Instead of skills and drills, good games can depend on comprehension of knowledge by application, analysis and evaluation of content. Q: Will we need a cultural shift to create education reform? A: I think we are already in that cultural shift. States, schools, and districts across the world are creating unique and progressive learning models. Some schools are venturing into gamification of education and using learning games as part of the work. If we continue to foster these experiments and implementations, Games for Learning can continue to gain traction as legitimate learning tools to engage students. Games are fostering a cultural shift in education. Q: Can you give me an example of a school that has dramatically changed how they teach basic skills, using games? A: Quest To Learn, a brainchild of the Institute of Play is a school that seeks to gamify education through not only educational games, but also through infusing elements of games into the structure of school. They have worked to align instruction and curriculum to game design elements and adopt many game principles. Although in its infancy, the school has seen an increase in engagement in learning core content. Q: What needs to happen to spur the adoption of more games and simulations in the classroom? A: Great results and research is needed to have schools and classrooms readily adopt games. In addition, game designers need to design great games with the help of teachers and education experts. There needs to be more conversation and collaboration to have both teachers and game designers understand what is needed for game implementation in the classroom and what games can offer instructionally. Q: What do you see as the biggest impediments keeping GBL from widespread use as learning tools? A: Games for educational purposes, historically, have been drill and skill based. Games have not been focused on higher order thinking skills around content. Only recently has educational game development moved past drill and skill to being designed with this focus. Q: How do you suggest tackling these obstacles? A: This stigma of “bad games” needs to be removed from the narrative with more examples and research of great educational games. As education is in the midst of reform, the adoption of new learning models is in process. Games being used in the classroom is no exception. If we can continue to the work on using games in the classroom, it will become more widespread. We must be patient, but continue to foster momentum. Q: If schools, companies, and society as whole adopted serious games and simulation as tools to improve learning, what could happen? A: Through further adoption, we can continue to get research to improve future games implementation in the classroom, and create better games. I think this will lead to more collaboration between game designers and education experts and teachers. With better results, games will continue to gain grounds in education. Number one: I wish I hadn't worked so hard. Number two: I wish I had stayed in touch with my friends. Number three: I wish I had let myself be happier. Number four: I wish I'd had the courage to express my true self. Number five: I wish I'd lived a life true to my dreams,instead of what others expected of me. This is just one of many examples of the rich content in Jane's talk. Lori quickly found the Serious Play Conference, scheduled in August 2012, and realized this would be a superb environment for immersion. This sparked the desire to interview the conference presenters, and those interviews are being shared here on the Playful Inquiry site. Whole fields and disciplines are merging in some of the work and research being done; it's fascinating. While the sectors of education, public health and public defense are certainly engaged in the Serious Games and Serious Play dialog, Lori is keenly interested in the conversation on behalf of the collections of individuals that are coming together looking to collaborate on co-creating better communities and a better world. How can we improve connecting talented individuals with the work they are good at and love to do? How can we support the individual and independent people who want to contribute and are looking for a place to plug in and “play” in real life? How do we more effectively allow the innate desire in people to make the world a better place to be realized? How? By realizing why. "We've seen what the Gaming Guilds are capable of in terms of their ability to form teams based on strengths as well as their completely organic models for shared leadership," says Norma Owen, who, along with Lori Sortino, is holding regular conversations about the applications for the Future of Work and Nurturing the Essence of Community. Lori claims "If we watch what's going on in the gaming community, and ask ourselves what it would take to bring those conditions into the world of work and community, we will accelerate the shift to our collective desired reality. If we can become a talented orchestra with the structure of music composition, the playbook of sheet music, and the discipline of practice, then we can borrow the process and play with games and simulation until we practice ourselves into better ways of working and being." The momentum behind this inquiry for Lori includes her work with Lyn facilitating Playful Inquiry, and also her work with the Future Working Together Guild, which is a Network of consultants, teachers, coaches, and other professionals who are bringing new models of working together to the world of work, offering conferences that border on simulation and are the bridge to introducing new creative models to existing communities and organizations. 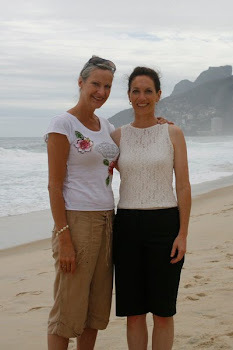 In addition, the systems thinking background that Lyn and Lori share provides a structure for studying systems in the process of inquiring about how to change any aspect of our life experience; work, relationships, education, our health, etc. Lori’s work with facilitating community groups, designing events, and connecting groups and individuals for collaboration has placed her in countless intimate conversations; a sort of un-reportable yet very real research that results in a knowing about what’s deeply important to people; what they’re yearning for and where our collective hope resides. Our experience with any aspect of life is somewhere on a continuum. Playful Inquiry is the invitation to look at our own individual approach, our unique experience, our current challenges; the things we are trying to change or bring into our life, and the level of importance. What does it mean to be serious? What does it mean to play? Serious Play, in essence, points to an emotional connection with an outcome. It indicates that people are concerned about how things turn out. Why? Because they believe the outcome matters. They have identified a need and have connected to a calling to meet that need somehow, and this creates a focus and an intention. We view focus and intention as serious rather than playful. The art, though, is noticing when the focus and intention becomes attached to the "how". Playful Inquiry invites us to let go of the how in order to reconnect with the why. Why do gamers spend hours and hours on line playing games? What are the very real needs that get met with this activity? Grab an open mind and take a look: community, recreation, immersion, strategy, problem solving, competency, belonging, accomplishment, autonomy, self-reliance, collaboration, completion, respect, opportunity to lead, celebration, creativity, exploration, and more. These are real life basic needs that everyone has to some degree and so many of these needs are met in reality via on line gaming and are largely NOT being met in mainstream educational and work environments and cultures. Part of the shift in consciousness being explored by hundreds of groups is acknowledging the power and importance of these basic human needs and harnessing that awareness in the designing and nurturing of community going forward. To play, or not to play. Observe or participate. It’s your life. If you’re not happy with recent outcomes, do some research for yourself and play it a little differently. Lyn Wiltse (left) and Lori Steed Sortino (right) are passionate about helping individuals and teams ask the right questions to achieve their goals. They will no doubt tell stories about their trip to Brazil and want for you similar experiences in life: The opportunity to immerse yourselves in a different culture, language, and political reality, the ability to recognize the truth of who you are, and the realization of how you can best contribute to the world. Lyn Wiltse is the founder and president of PDSA Consulting, Inc. She is a graduate of Willamette University and holds a Master’s degree in Educational Policy and Management from the University of Oregon. She has over 25 years of experience facilitating process improvement and interest-based collaborative initiatives. She demonstrates empathetic listening which creates a trusting environment for relationship-building and consideration of new ideas, especially regarding the potential impact each person has on surrounding systems. Lori Steed Sortino facilitates groups and mentors leaders with an emphasis on individual growth and transformation that supports and encourages our capacity for embodying authenticity. Key themes in her work are transparency, awareness, aligning with core beliefs and core values, and integrating what we do well and what we most love to do. Her diverse background includes corporate management and training, continuous improvement, project management, and solution discovery. She's a starter, innovator, designer and photographer with a focus on celebrating life. Lyn is based in the Seattle, WA area. Lori is based in the Central Coast, CA area. In the degree that we remember and retell our stories and create new ones, we become the authors, the authorities, of our own lives. On with the dance, let joy be unconfined, is my motto, whether there’s any dance to dance or any joy to unconfined. Be daring, be different, be impractical; be anything that will insert integrity of purpose and imaginative vision against the play-it-safer, the creatures of the commonplace, the slaves of the ordinary. Play is democratic! Anyone can play! Everyone can learn through playing! Play touches and stimulates vitality, awakening the whole person – mind and body, intelligence and creativity, spontaneity and intuition, when all are attentive to the moment. Intuition bypasses the intellect, the mind, the memory, the known. Using intuition cannot be taught. One must be tripped into it. The heart of improvisation is transformation. Creativity is not rearranging; it’s transformation. The Spolin theater games are artifices against artificiality, structures designed to almost fool spontaneity into being – or perhaps a frame carefully built to keep out interferences in which the player waits. Important in the game is the “ball” – the Focus, a technical problem, sometimes a double technical problem which keeps the mind (a sensoring device) so busy rubbing its stomach and its head in opposite directions, so to speak, that genius (spontaneity), unguarded, happens.” Film Quarterly. Play experience can prepare the student for purposefulness in non-play activities, for true play creates the incentive to use one’s best ability. Excitement and enthusiasm are a precondition to breakthrough. Schiller taught us long ago that we are fully human when we are at play. 1. Exercise boosts brain power. Brains are built for walking 12 miles/day. To improve your thinking skills, move. Exercise gets blood to your brain, bringing it glucose for energy and oxygen to soak up the toxic electrons that are left over. It also stimulates the protein that keeps neurons connecting. Aerobic exercise twice a week cuts your risk of Alzheimers by 60%. 3. Every brain is wired differently. Our brain changes as we learn. No two brains store the same information in the same way or in the same place. We have a great number of ways of being intelligent, many of which don’t show up on IQ tests. 4. People don’t pay attention to boring things. The brain’s attentional “spotlight” can focus on only one thing at a time: no multitasking. We are better at seeing patterns and abstracting the meaning of an event than we are at recording detail. Emotional arousal helps the brain learn. Audiences check out after 10 minutes, but you can keep grabbing them back by telling narratives or creating events rich in emotion. 5. Repeat to remember: Information enters the brain and gets split up and stored in different areas of the cortex. You can improve your chances of remembering something if you re-create the environment in which you put it in your brain in the first place. 6. Remember to repeat: Most memories disappear within minutes. Those that survive the fragile period strengthen with time. Improve long-term memory by incorporating new information gradually and repeating it in timed intervals. 8. Stressed brains don’t learn the same way: Your body’s defense system – the release of adrenaline and cortisol- is built for an immediate response to a serious by passing danger, such as a saber-toothed tiger. Chronic stress, such as hostility at home, dangerously deregulates a system built only to deal with short-term responses. Under chronic stress, adrenaline creates scars in your blood vessels that can cause a heart attack or stroke, and cortisol damages the cells of the hippocampus, crippling your ability to learn and remember. Individually, the worst kind of stress is the feeling that you have no control over the problem – you are helpless. Emotional stress has huge impacts across society, on children’s ability to learn in school, and on employees’ productivity at work. 9. Stimulate more of the senses at the same time. We absorb information about an event through our senses, translate it into electrical signals (some for sight, others from sound, etc. ), disperse those signals to separate parts of the brain, then reconstruct what happened, eventually perceiving the event as a whole. The brain seems to rely partly on past experience in deciding how to combine these signals, so two different people can perceive the same event differently. Our senses evolved to work together – vision influencing hearing for example - which means that we learn best if we stimulate several senses at once. Smells have an unusual power to bring back memories, maybe because smells bypass the thalamus and head straight to their destinations, which include that supervisor of emotions known as the amygdale. 10. Vision trumps all other senses. Vision is by far our most dominant sense, taking up half of our brain’s resources. What we see is only what our brain tells us we see, and it’s not 100% accurate. The visual analysis we do has many steps. The retina assembles photons into little movie-like streams of information. The visual cortex processes these streams, some areas registering motion, others registering color, etc. Finally, we combine that information back together so we can see. We learn and remember best through pictures – not through written or spoken words. 11. Male and female brains are different. The X chromosome that males have one of and females have two of – though one acts as a backup – is a cognitive “hot spot,” carrying an unusually large percentage of genes involved in brain manufacture. Women are genetically more complex, because the active X chromosomes in their cells are a mix of Mom’s and Dad’s. Men’s X chromosomes all come from Mom, and their Y chromosome carries less than 100 genes, compared with about 1,500 of the X chromosome. Men’s and women’s brains are different structurally and biochemically. Men have a bigger amygdale and produce serotonin faster, for example – but we don’t know if those differences have significance. Men and women respond differently to acute stress, Women activate the left hemisphere’s amygdala and remember the emotional details. Men use the right amygdala and get the gist. 12. We are powerful and natural explorers. Babies are the model of how we learn – not by passive reaction to the environment but by active testing through observation, hypothesis, experiment, and conclusion. Specific parts of the brain allow this scientific approach. The right prefrontal cortex looks for errors in our hypothesis (“The saber-toothed tiger is not harmless”), and an adjoining region tells us to change behavior (“Run!”). We can recognize and imitate behavior because of “mirror neurons” scattered across the brain. Some parts of our adult brains stay as malleable as a baby’s, so we can create neurons and learn new things throughout our lives.